The Indian Railways on Tuesday announced that it would run 500 special trains which would benefit more than seven lakh passengers. The decision to run a total of 500 special trains has been taken up to clear the Holi rush on March 2. The passengers can now travel on Holi through these special trains. More focus has been put on the passengers of Uttar Pradesh and Bihar. While Central Railway will run 26 special trains, the Western Railways will run 4. The Northern Railways, as per the reports, will run 270. This year, 60 more trains will be run as compared to the last year. 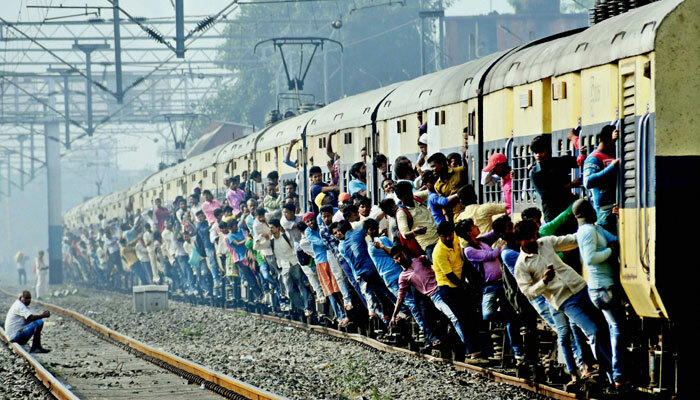 “Last year 440 special trains were run to clear Holi Rush,” said Railway officials. In 2017, more than 6 lakh passengers were benefitted with the Special Trains. Earlier the Eastern Railways had announced that it would be running 52 weekly Summer special trains on two routes to clear the rush of passengers in the forthcoming Summer season. The Summer special trains will be run on two routes – Sealdah (Kolkata) – Ananda Vihar (West Bengal) and Bhagalpur (Bihar) – Muzaffarpur (Bihar). “26 weekly Summer specials will be run between Sealdah and Ananda Vihar (via Dankuni) leaving Sealdah o­n every Saturday between April 7 & June 30, 2018 and Ananda Vihar o­n every Sunday between April 8 & July 01, 2018,’ the Eastern Railways said in a press release.